While camping seems like a pretty simple task, you can find yourself wondering if there is an easier way. You need to plan out a lot more than just a place to sleep and things to eat. If you’ve got little ones, this planning process can be even more difficult! 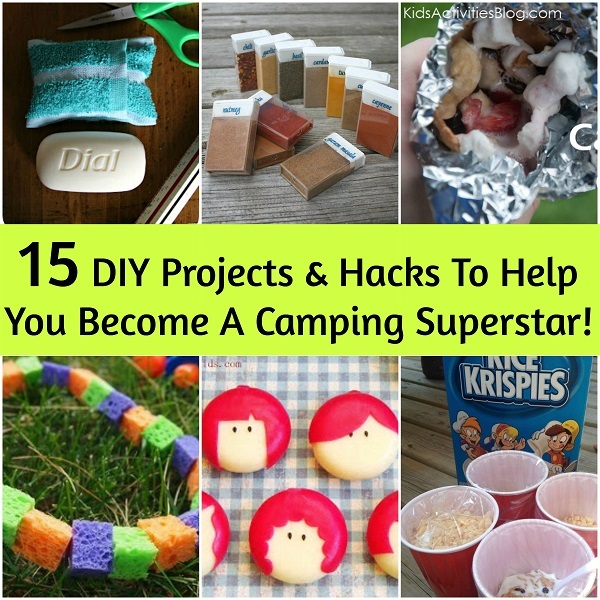 Next time you’re planning on of your great trips, try out these different projects and hacks. From food, to bathing, to just an amazing ways to keep cool– you’ll love all of the great tips on this list! 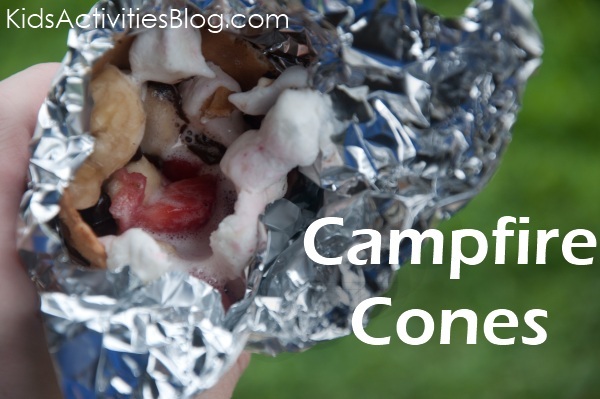 Camp Fire Food: Fruit & Smore Cones – If you’re looking for a delicious treat for your kids that doesn’t require them playing too close to the fire, this is for you! These delicious cones can be made with whatever ingredients you want, and thrown into the fire! How to improvise a grill – So, if you find yourself hiking in this beautiful weather, and it’s inching up on lunch time, but you don’t want to waste time making a fire– what do you do? You break out the tin cans and make a quick grill! Elk Camp Solar Lanterns – This is an awesome way to increase both the quality and quantity of solar lights. The mason jars in this project really increase the amount of light! 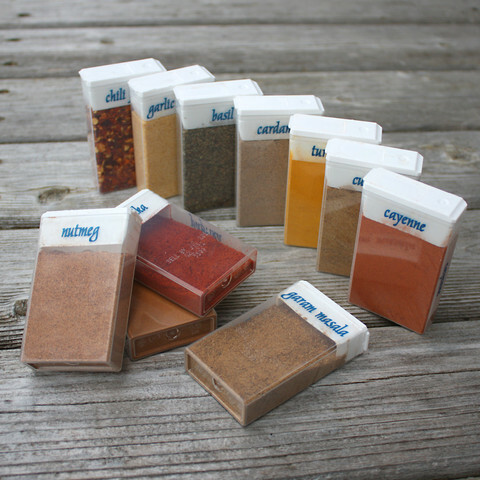 Repurposed TicTac Boxes for Travel Spices – Bringing all of your spice jars and shakers is a little overwhelming. If you don’t want to lose your spices, or you don’t want them to all get totally ruined in a rain accident, try out this awesome hack! Packing Eggs for Travel – Bringing an egg carton camping can be dangerous. Try out this great hack to keep your eggs from getting cracked or broken during travel. Cool-off Sponge Necklace – This is an amazing trick for those especially hot days. Though they’re fun for kids, you can put them on yourselves and the dog too! Turn a mason jar into an easy DIY dispenser – This amazing trick is perfect for bringing smaller quantities from the house to the camp ground. Eggs-Tra Special Campfire Starter – This great trick uses two ingredients to make the perfect campfire starter. You’ll be happy you tried it! Biodegradable Trail Marking Tape – If you’re off hiking in the woods, and you don’t want to get lost, try getting some biodegradable trail marking tape. You won’t get lost, and it doesn’t hurt the nature. 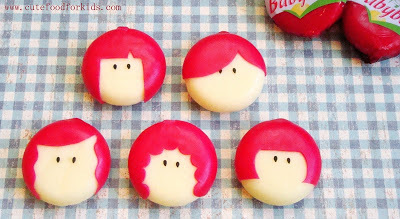 Mini Babybel Cheese Girls – This is a really simple and fun DIY food. Your kids will love the cute faces on their cheese! Camp Bath Tub for Little Kids – When your children are very young, especially toddlers, it can be an adventure to take them camping. Try out this bath tub tip for little kids next time they’re getting down in the dirt during a trip. Easy Breakfast Cereal – Cereal is much faster than eggs on a camping trip. 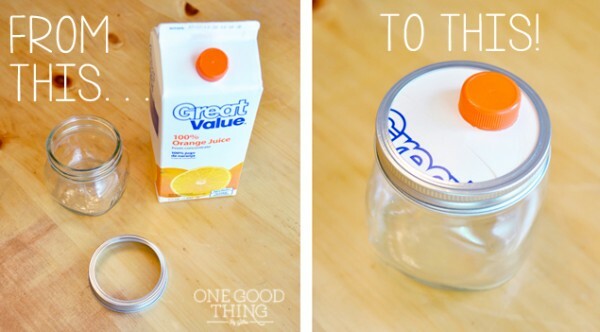 This great hack will not only make breakfast faster, but it also keeps the cups they’re in reusable. DIY Soap Pouch – Keeping soap from getting grass covered and dirty can be pretty difficult in the woods. Try this great soap pouch craft on your next trip. 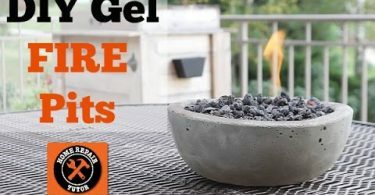 How to Keep Mosquitoes & Other Annoying Bugs Away from Your Campfire – When you’re getting settled down, and sitting around the campfire, the last thing you want is mosquitoes getting a feast. Try these great tips for keeping bugs away from you and your campfire. 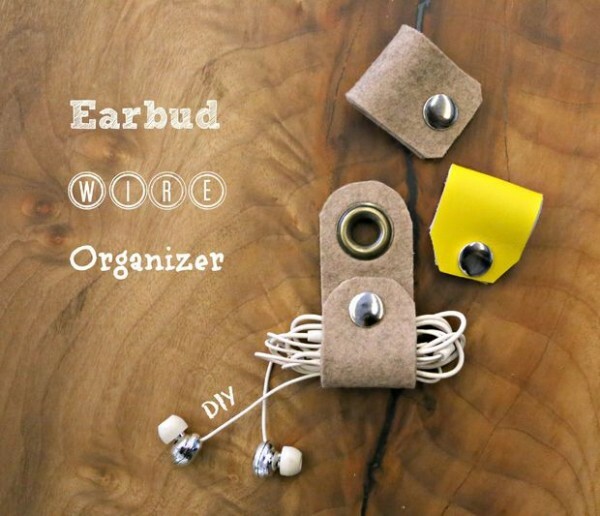 Earbud Wire Organizer – Sometimes, you just need a little bit of music out in the wild. However, will all the stuff your packing, earbuds can be quick to get lost and tangled. Try this neat craft next time instead!